The months leading up to the holidays are growing ever busy at Barnabas Community. To help serve more people in this season, we want to expand the hours the store is open during the months of November and December. Beginning, Nov. 9, Barnabas will be open on Thursdays, from 11am-7:30pm. This added time in the day would allow more guests to utilize the store and give them more time to do their holiday shopping. However, these "Holiday Hours" will only be possible if more volunteers can serve in the new store hours. 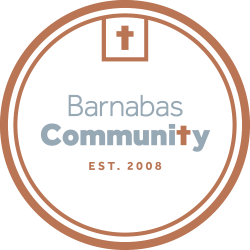 Want to make a difference at Barnabas this season? Contact Carol Petersen, Barnabas Community's Volunteer Coordinator, by Oct. 18 to sign up to serve during the "Holiday Hours" or share with a friend this opportunity to serve!